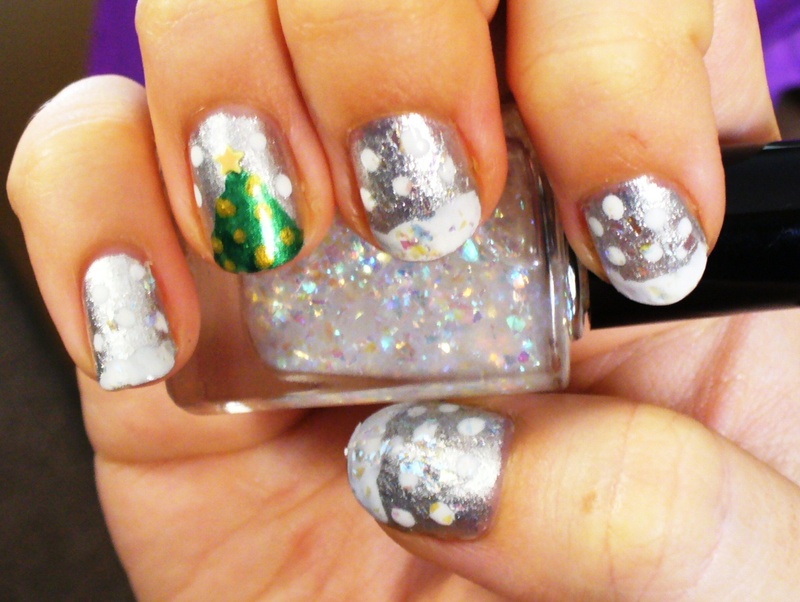 This look features silver based nails, with falling snow, an iridescent flaky finish, and two different styles of accent nails. I couldn’t decide which I wanted to do more, so I did one of each! 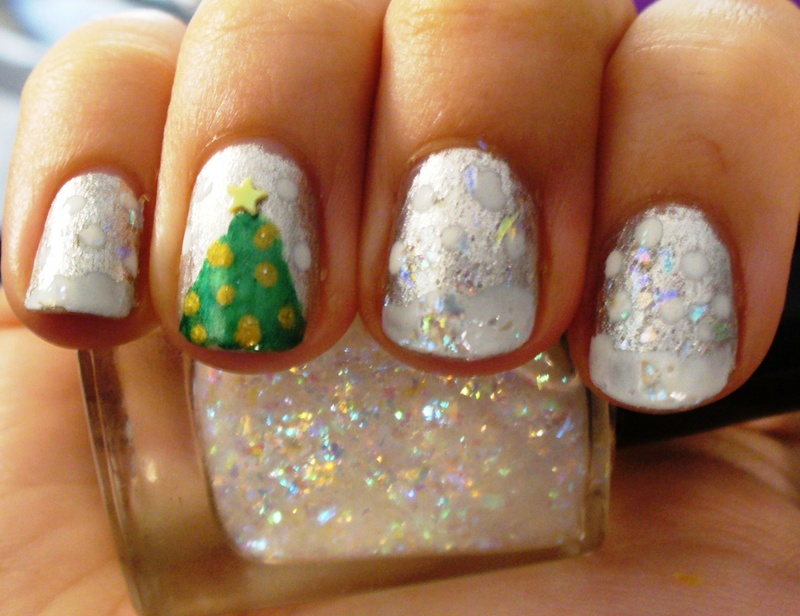 One accent nail is painted in the traditional “indoor” Christmas tree style, complete with a star topper. 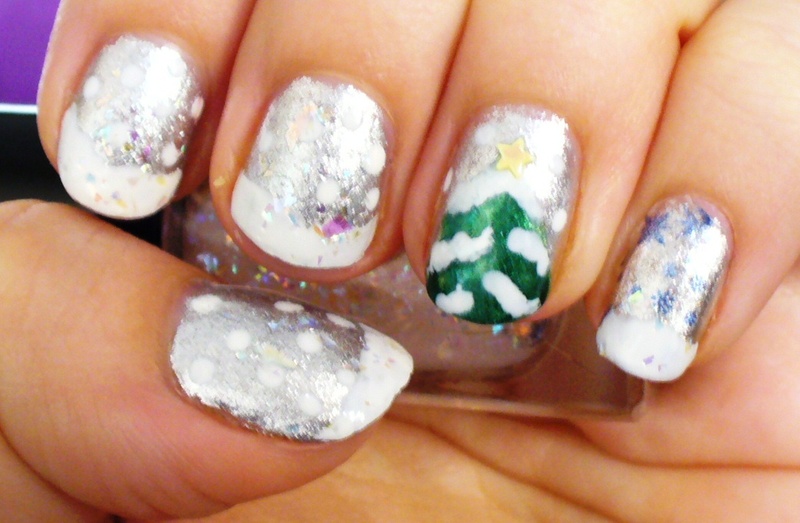 The other accent nail is a snowy forest tree look. Which do you like more between the two? 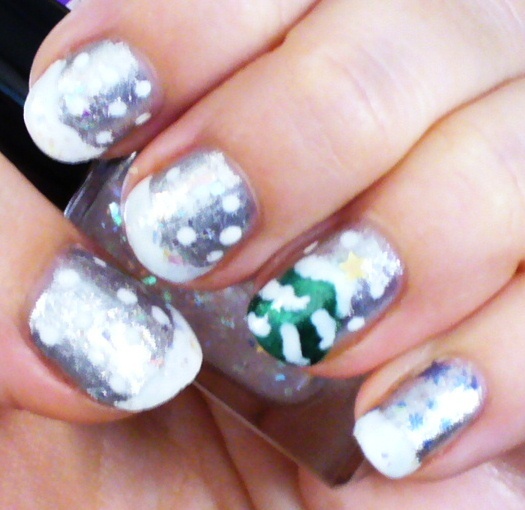 I think I like the snowy outdoor look more personally!